Saddle Sand Sea is a multi-year, multi-event challenge dreamed up by Seamus Crawford and Paddy Montgomery. They completed the first challenge, The Race Across Europe, in 2015; cycling 2,933 miles in 12 days crossing the Pyrenees once and the Alps twice. 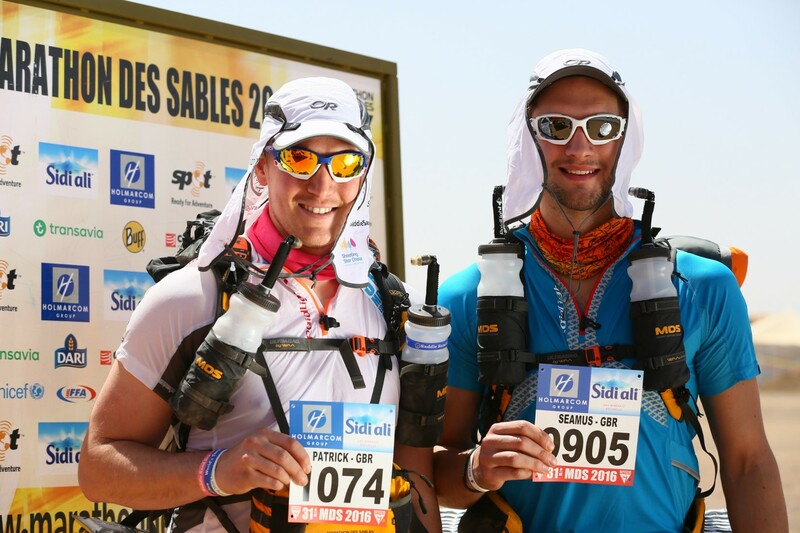 Next, in 2016, they completed the Marathon des Sables billed as the toughest footrace on earth. It’s 6 marathons in 6 days across the Sahara desert. Finally, in 2017, they will compete in the Talisker Whiskey Atlantic Challenge, a 3,000 nautical mile row across the Atlantic Ocean. They are doing this to raise funds for The Prostrate Project and Shooting Star Chase and you can learn more about their adventures at saddlesandsea.com. Seamus and Paddy, welcome to The Pursuit Zone.